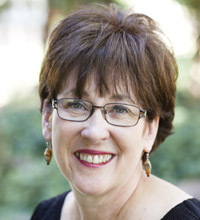 Nancy J. Duff, the Stephen Colwell Associate Professor of Christian Ethics at Princeton Theological Seminary, earned her MDiv from Union Presbyterian Seminary in Virginia and her PhD from Union Theological Seminary in New York. An ordained Presbyterian minister, she focuses her research on the theological foundations of Christian ethics. Writing from the Reformed tradition and informed by both Pauline apocalyptic and feminist concerns, she explores how theological claims identify the church’s responsibility in the world. She teaches courses in the theology and ethics of Dietrich Bonhoeffer, the theology and ethics of James Cone, issues in biomedical ethics, issues in human sexuality, the doctrine of vocation, and the ethics of the Ten Commandments. “Praising God Online,” Theology Today, vol. 70.1 (April 2013), pp. 22–29. “The Commandments and the Common Life: Reflections on Paul Lehmann’s The Decalogue and a Human Future, Explorations in Christian Theology and Ethics: Essays in Conversation with Paul L. Lehmann, Philip G. Ziegler and Michelle J. Bartel, eds. Ashgate, 2009, pp. 29–44.